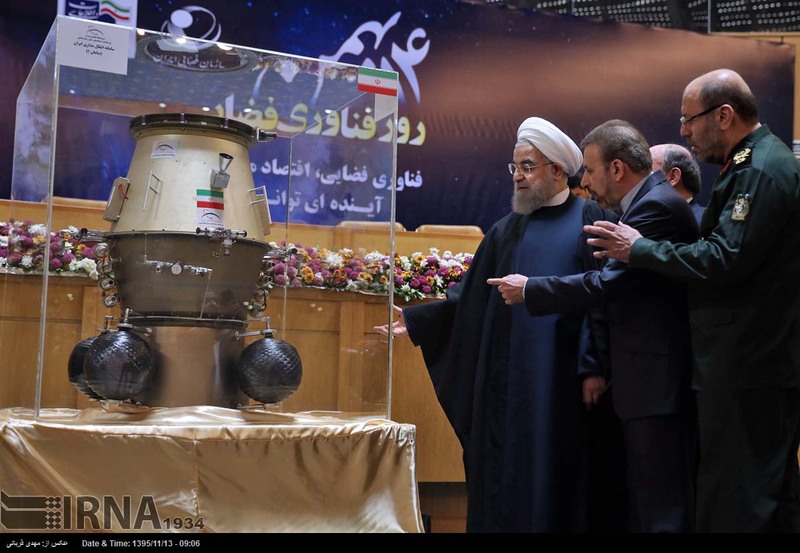 Iran has put on display its latest achievements in the area of space technology during a ceremony attended by President Hassan Rouhani and other senior officials. The Exhibition of Space Achievements was held in Tehran on Wednesday to mark the ninth National Space Technology Day. Also present at the event were Minister of Science, Research, and Technology Mohammad Farhadi and Defense Minister Brigadier General Hossein Dehqan. During the ceremony, the domestically-designed Nahid (Venus) 1 telecommunications satellite, and student-manufactured Cube satellite were unveiled. 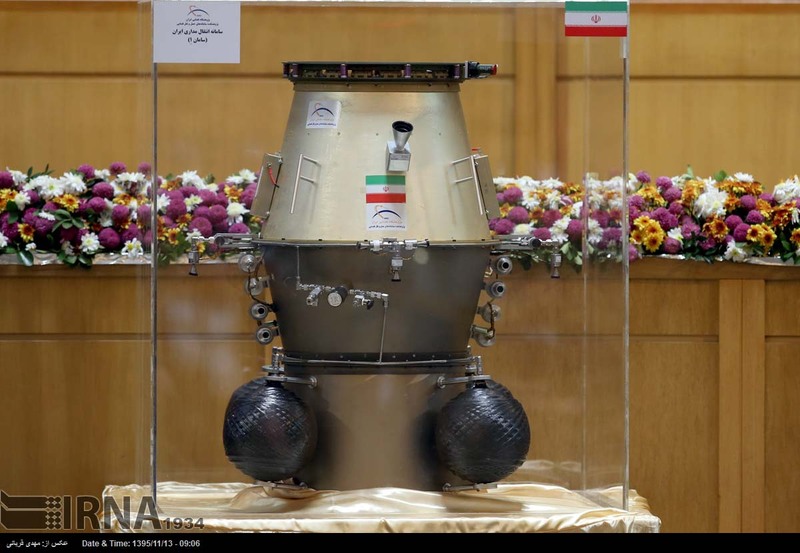 Nahid 1 has been manufactured at Iran's Space Research Center. Through its production, the country has sought to hone its capabilities in building geosynchronous satellites. The solar-powered satellite is designed to provide telecommunication and imaging services. 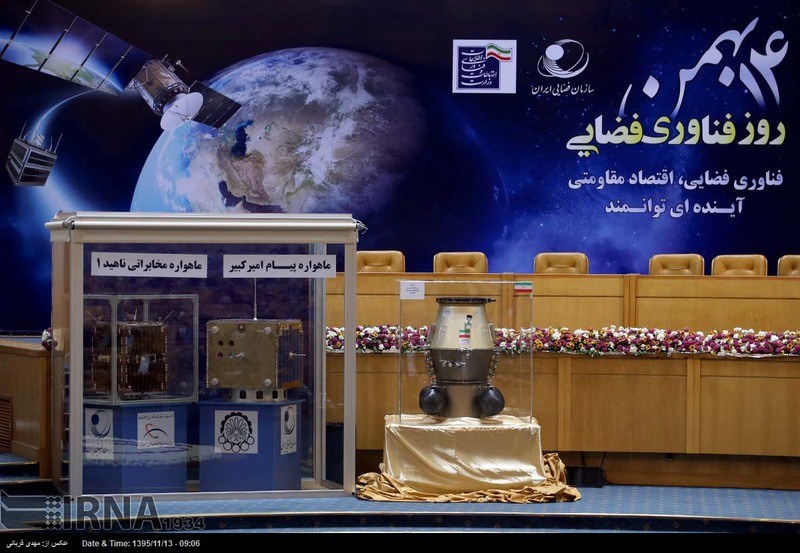 Among other achievements put on display were the surveillance-imaging Payam-e-Amirkabir satellite, designed and built by Iran's Amirkabir University of Technology and Saman 1 Orbital Maneuver System, which can be used to change satellite orbit. Speaking at the ceremony, the Iranian president called for efforts to promote domestic capabilities in the field of space technology by drawing on relevant international experience. "It is wrong for us to either be exclusively reliant on buying [technology] from abroad or totally turn our backs on international experience," said President Rouhani, adding that the country needs to tap domestic potential and benefit from international expertise as well. The Iranian chief executive further described space technology as a source of power for the Islamic Republic. Elsewhere in his comments, Rouhani once again slammed US President Donald Trump's ban on the entry of travelers from seven Muslim-majority nations as well as all refugees into the country. This is not the day and age for separating nations and their ideas, Rouhani said, adding it is wrong for a president to assume that by banning the issuance of visas for the nationals of certain countries, he can create a rift among people. He added that it takes time for individuals who are new to politics to get an understanding of what is really going on in the world. Trump on Friday signed an executive order banning the entry of citizens from Iran, Iraq, Libya, Somalia, Sudan, Syria, and Yemen into the United States for 90 days over purported security concerns. The order also bars the entry of all refugees for 120 days. Rouhani further slammed Trump's "wrong move" as a violation of human rights and said Americans "are today trampling on all international principles and commitments."